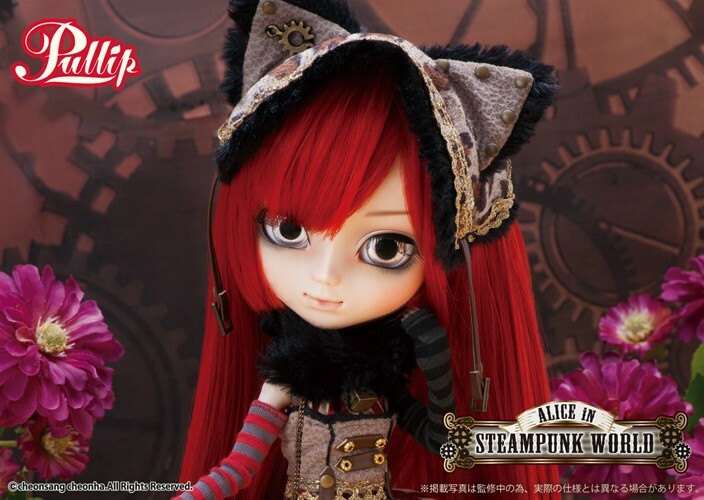 Pullip Cheshire Cat in Steampunk World was released in October of 2016, she is believed to be the final doll to be released as a part of the Alice in Steampunk World series. 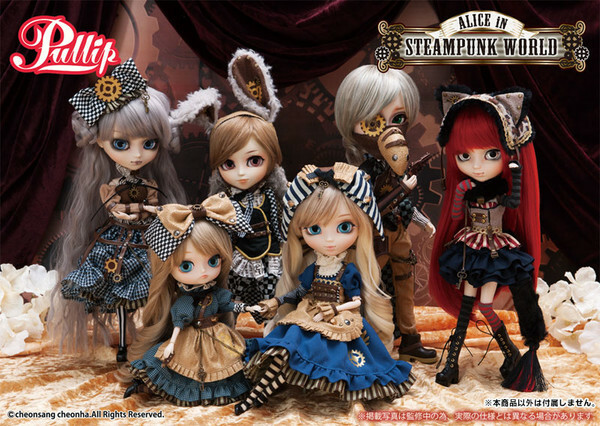 Other dolls released as a part of the series include Pullip Alice in Steampunk World, Dal Alice in Steampunk World, Isul White Rabbit in Steampunk World, Pullip Mad Hatter in Steampunk World and Taeyang Dodo in Steampunk World. 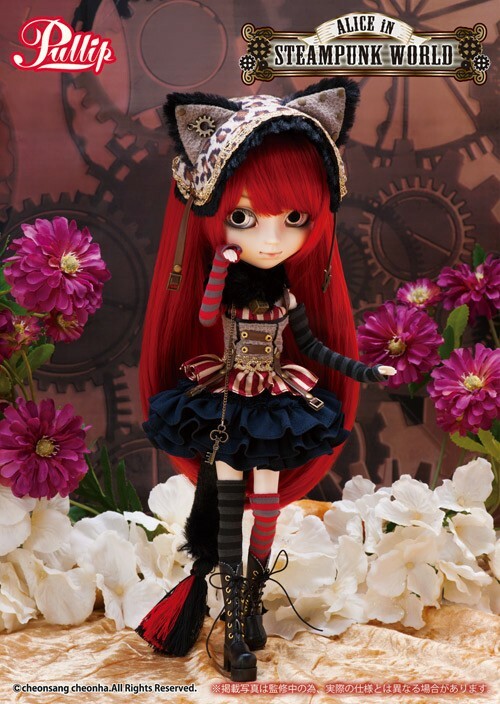 Pullip Cheshire Cat in Steampunk World is notable because she is the first doll to debut the new and improved eye mechanism that allows the eyelids to be partially open in addition to fully closed or fully open. 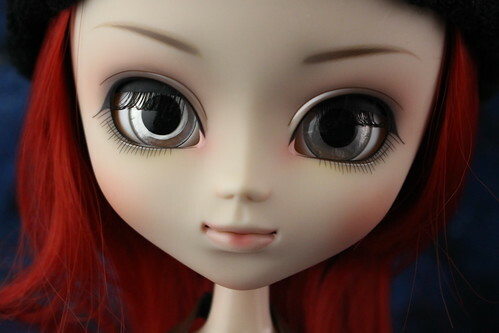 You can read more about the new eye mechanism here or take an even closer look here. 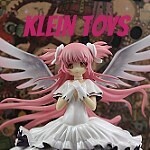 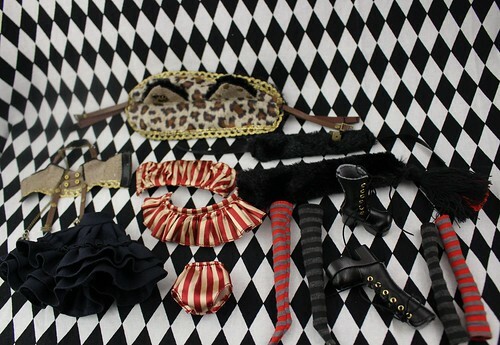 Feel Like So: Disappeared from the point of the tail with mysterious steam…..End with leave only laughter….Feel Like So. 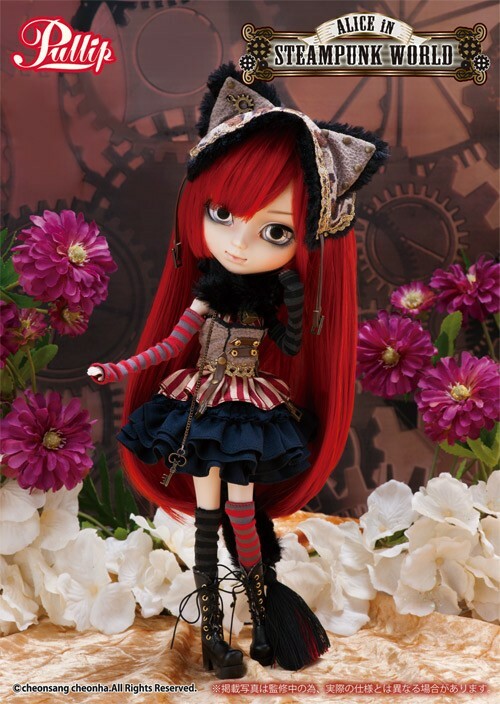 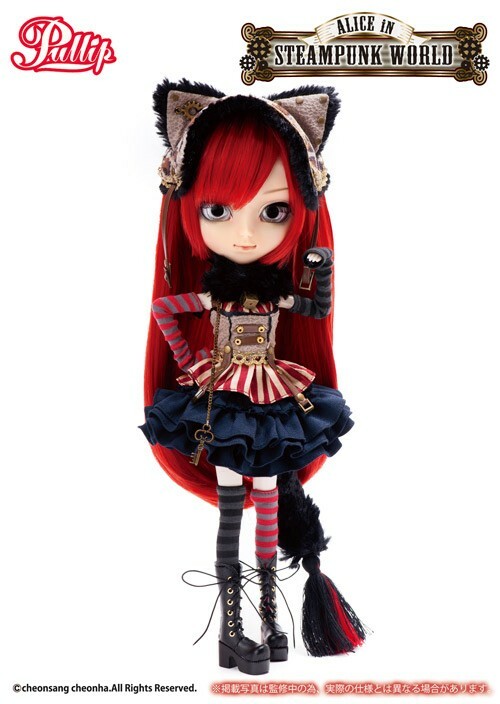 Stock: Pullip Cheshire Cat’s in Steampunk World’s stock outfit consists of a headdress with cat ears, choker, arm covers, corset, tube top, overskirt, skirt, underwear socks and boots. 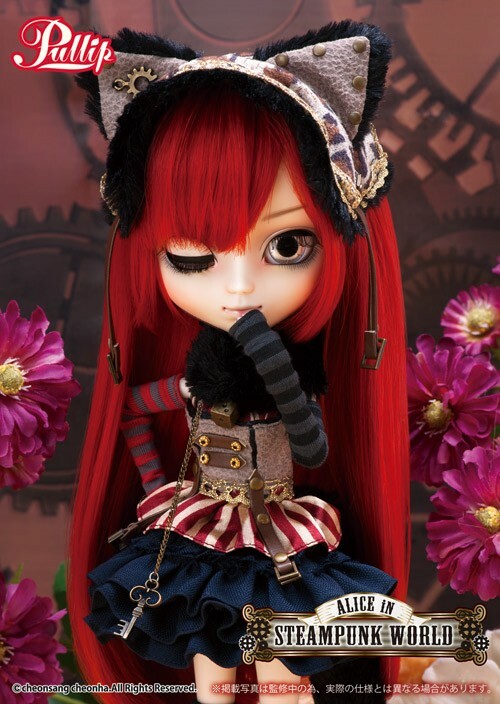 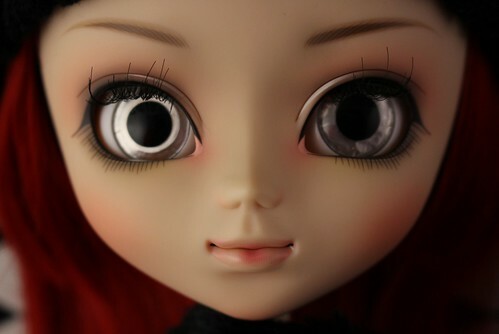 Special Notes: Pullip Cheshire Cat in Steampunk World is the first Pullip to debut a new eye mechanism feature that allows a new partially open eyelid position instead of just fully open or closed.